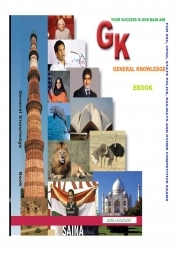 Description of "GENERAL KNOWLEDGE (eBook)"
This E-Book is specially written for competitive exams. railway exams, IB-ACIO exam, state level police and other jobs. You know that in every field of job about 50 questions are asked from general awareness, except MTS(25 Q) CDS(100 Q) and some other exams but if you want to success in the examination you must read gk books addition to math, english and reasoning. my aim is your success. I study past five year papers taken for various jobs by ssc, upsc, delhi police, railways and many more. Reviews of "GENERAL KNOWLEDGE (eBook)"